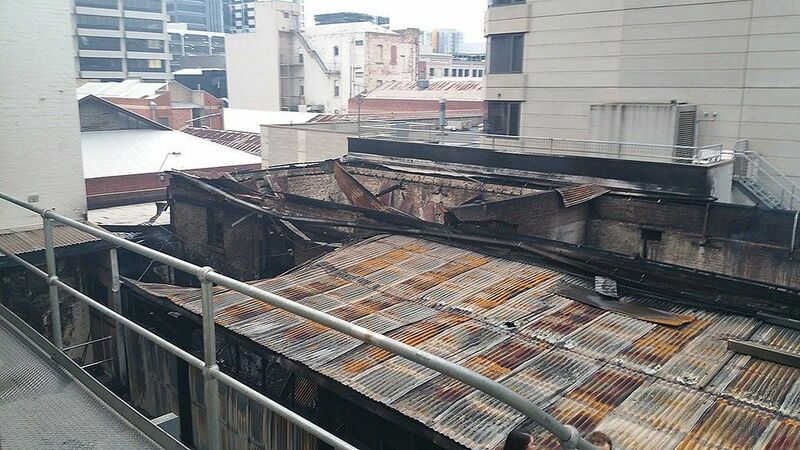 Yesterday’s fire in the Adelaide CBD (actually, in the building next door to our Leigh Street studio at The Digital Embassy) raises a lot of questions for all of us – not just personnel safety, but security and data protection of your business. Do you have a fire evacuation plan for staff? Do you have a server backup process that is regularly maintained and stored off site? 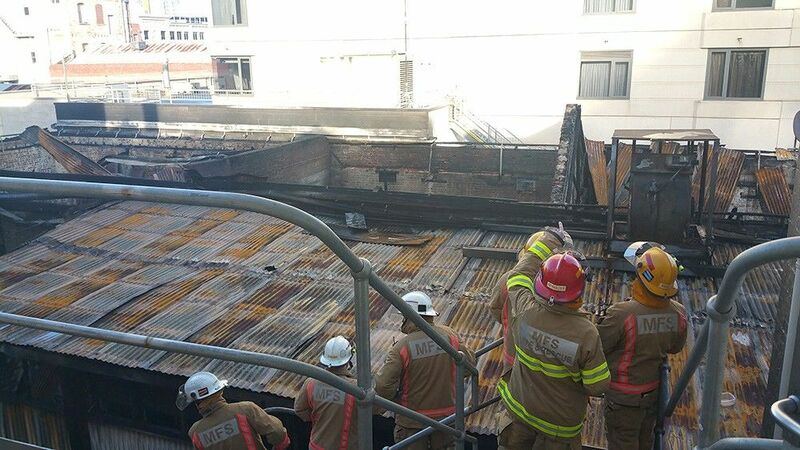 Our ‘fantastic fire-ies’ surveying the damage this morning. 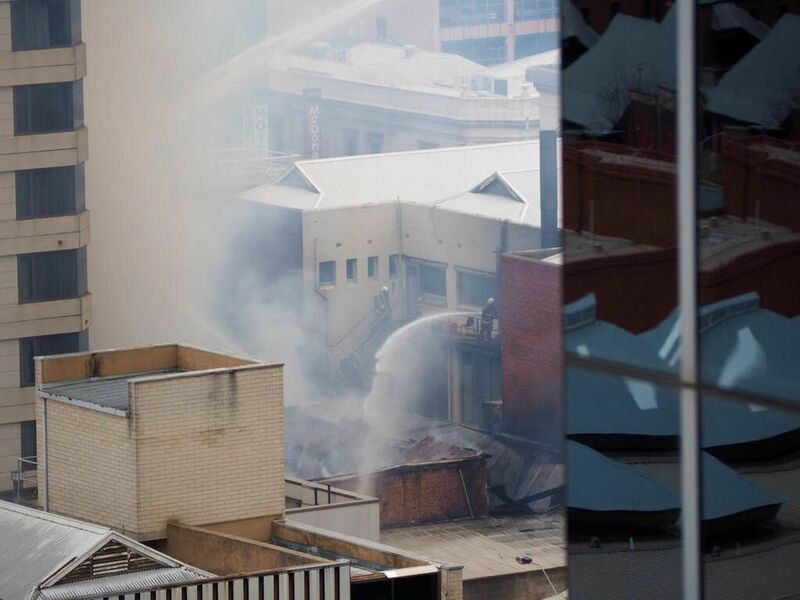 In this day and age of modern technology, we were able to evacuate our building, remotely divert our phones, communicate to our network via social media and set our out-of-office emails to ensure people knew what was happening. Most importantly, we discussed what would happen if the building caught on fire or if smoke or water damage caused our servers to be destroyed or shut down. Fortunately, as a business, we maintain a regular back up of our servers that is taken off site. If the worst happened, we could be confident that we would be able to retain all data and be back up and running in a minimal time frame. Many companies rely on our data being secure and operational – not just our business. Of course, people are the number one concern. Evacuation plans are actioned and headcounts performed to ensure we were all ok. Equipment can be replaced and buildings rebuilt but once people are taken care of, the focus turns to the other thing that often can not be replaced – data. You may need to purchase a new server, but at least you can bring in your backup and reload the data. That day’s or week’s work may be lost (depending on how often you back up) but at least you’ve retained the majority of your work, correspondence and historical data. Look after your business as well as your staff – back up your data, people. Pre-built Template vs Custom Build – Which website foundation is best?